By Jake Rocheleau in WordPress. Updated on May 29, 2017 . From WordPress theme designers to plugin developers, they all benefit from building on frameworks. It saves time to work with existing WP code and you don’t need to worry about bugs or security flaws. Over the past decade, the WordPress ecosystem has grown a lot. There are dozens of frameworks to pick from and they all have their pros & cons. Thankfully, you can sort through all these options with IncludeWP, a free repository for open source WordPress frameworks. The entire site works like a single page web app where you can search frameworks built for plugins, themes, or both. And, you can find all the source code for IncludeWP on GitHub as an open source project. This code is not more valuable than the site itself but it shows how open developers are with sharing their code publicly. 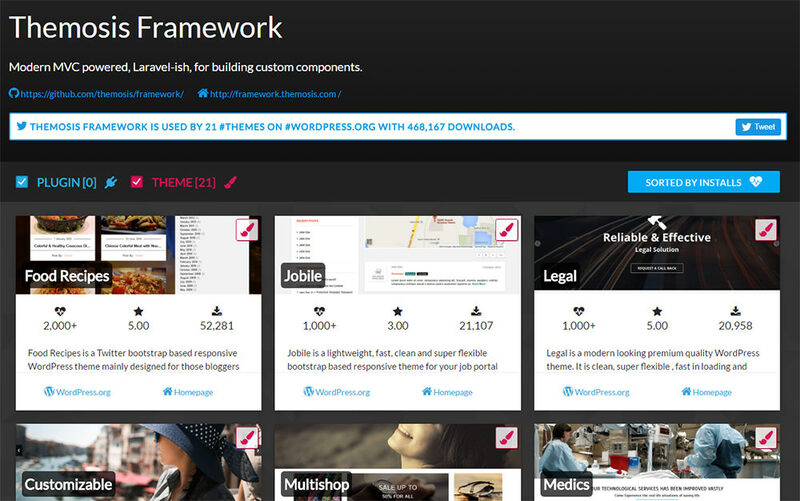 Each WP framework links to the main homepage and the GitHub repo. These frameworks are all completely open source and free to download, modify, and use for any project. You can sort projects based on GitHub stars, total forks, total issues, or sorted by name A-Z. This way you’ll have an easier time browsing to find exactly what you’re looking for. The impetus for creating this site comes from a WordPress decision to remove all frameworks from the official directory. IncludeWP offers a new home for these frameworks in a well-organized fashion. Since most frameworks come from GitHub, it makes sense to have IncludeWP’s code online for free. Developers can even fork the site or add pull requests to append their own frameworks to the mix. So, if you’re a WordPress developer and want to bring some attention to your code, think about submitting a framework into the gallery. I’m sure it’ll make an excellent addition to the collection! And, whether you’re trying to build a new WP theme, a groundbreaking new plugin, or a little of both, you’re bound to find at least one handy framework on the website.